Korean skincare is taking over the world. You can’t enter a shop these days that doesn’t have its own SoKo beauty counter. Or open a magazine without reading about the latest beauty trends from the East. Everyone’s talking about it. Have the Koreans discovered the fountain of youth, or is it all marketing hype? That’s what we all want to know. Being the sceptical, non-trusting sort that I am, I initially wrote K-beauty off as the latest eccentricity in the beauty world. A lot of it is just hype. Korean brands use the same ingredients as everyone else (plus a few weird ones thrown in for shock effect), and a lot of their products aren’t that special. Some Korean products, techniques, and principles are truly amazing. Us Western should adopt them pronto. 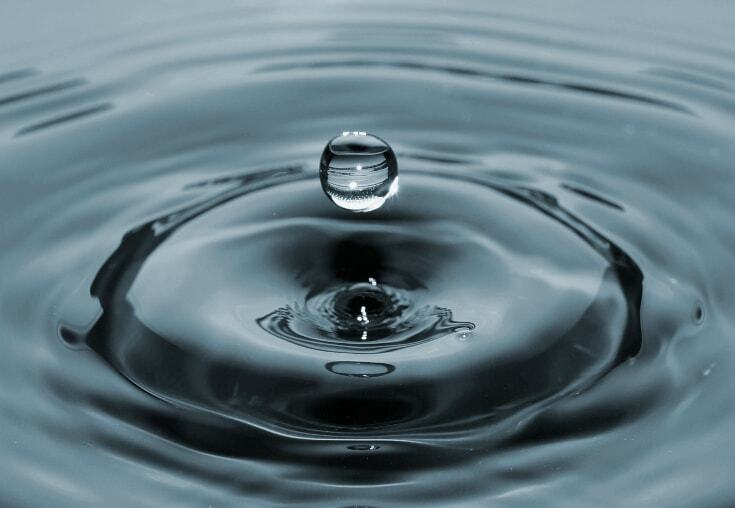 Most skincare products contain a huge dollop of water. It’s the base. But, the Koreans are OBSESSED with water. Pretty much every brand touts the “magic” of its thermal-rich water. That’s the hype. The truth is that water is essential to skin health. When skin is hydrated, it’s soft to the touch and plumps up, making fine lines and wrinkles look much smaller. That’s something I always took for granted. My skin has always been naturally well-hydrated, so I always looked for that something extra, like antioxidants, in my skincare products. But now, for the first time in my life, my skin is as dry as the desert. It flakes. It stings. It annoys the hell out of me. It’s now begging me to use a super hydrating cream that delivers a potent burst of moisture. Not necessarily from thermal water. Again, that’s hype. But, Korean moisturizers do the hydrating job oh-so-well. Korean creams, lotions, and toners are packed with hydrator-boosters, such as glycerin and hyaluronic acid, which can attract and bind water to the skin. The downside? Most of these products are fairly basic: hydrating your skin is ALL they can do. Remember when we talked about how gross snail slime is? There are so many moisturizing ingredients out there, I didn’t get why people went with this one. But then, I got to try a few for a freelancing assignment I was working on. The first time, it didn’t go so well. The mask was way too rich for my combo skin. But, when my skin is on the drier side, it laps it up like nobody’s business. After I treat it to a snail sheet mask, it’s much softer, plumper, and brighter (I’m partial to Tony Moly Intense Care Snail Hydro-Gel Mask, in case you’re wondering). 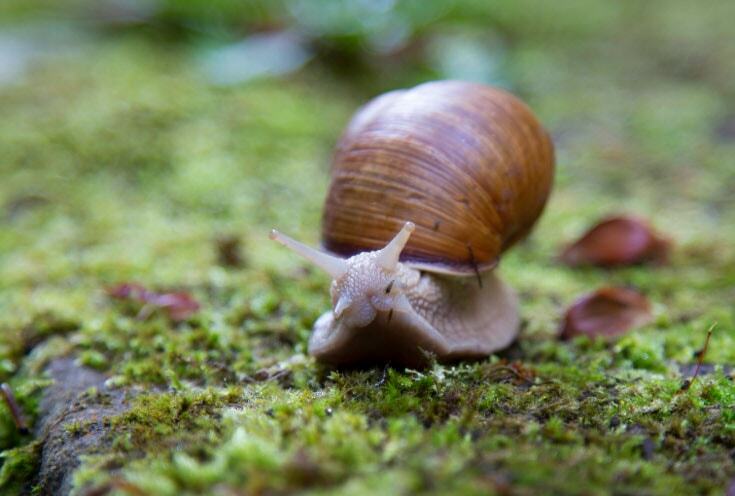 For me, snail slime is now up there with shea butter, hyaluronic acid, and mineral oil. The four musketeers of hydration and moisturization. I get why the Koreans love it so much. But I still shudder when I think how it’s collected. P.S. Snail slime is great for dry skin, but there’s NO proof yet it busts acne or wrinkles, like Korean brands claim. Sheet masks put K-beauty on the map. Korean women credit them as the secret to their flawless skin. They use one every night (that’s dedication!). I always thought that sheet masks weren’t a necessary part of your skincare routine. I stand by that. But, they help. A LOT. Last year, I was handed a big bunch of sheet masks to review – within a month. That meant I had to try a new one every night for 30 days (for those of you who are curious, they included Tony Moly Intense Care Snail Hydro-gel Mask, Mizon Enjoy Vital-Up Time Nourishing Mask and Etude House Collagen Moistfull). Well, my skin has never looked as good as it did last September. It was soft as a baby’s, looked smoother, and pimples were nowhere in sight. Mask sheets were the only change in my routine (diet and lifestyle habits included). Don’t get me wrong. Mask sheets are not miracle workers. They’re simply hydrating bombs. When skin has all the moisture it needs, it looks and feels its best. You don’t have to do a sheet mask treatment every night. But if your skin could use an extra dose of moisture, this’ll do the trick. When you think about skincare fun, you think of a day at a spa or having a facial done at a fancy salon. The rest of the time, skincare is “serious business”. You want products that work. No gimmicks. 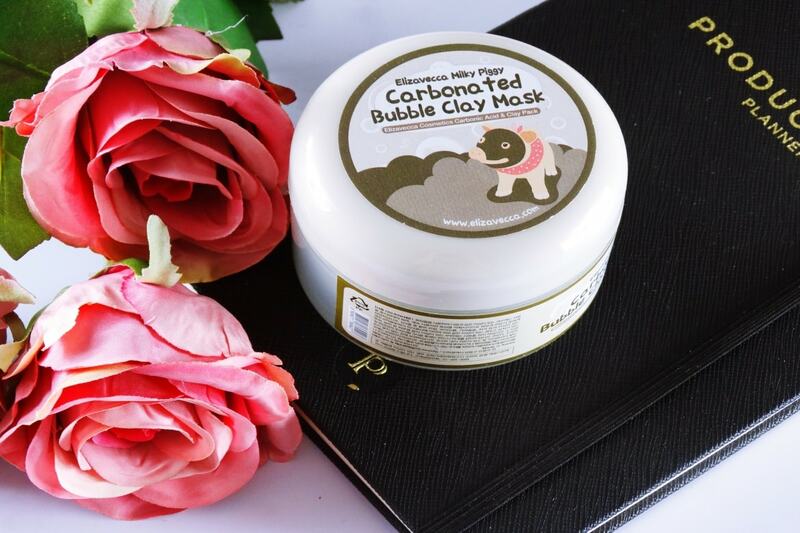 Elizavecca Carbonated Clay Mask: when it comes in contact with air, this clay mask forms lots of tiny bubbles on your skin, turning your face into a cloud! Neogen Pink Cactus Liftmax Knit Mask ($6.00): a knitted cotton sheet mask! Laneige Time Freeze Firming Sleeping Mask: has a cool memory-foam texture. Doesn’t matter how big a dent you make in it, within seconds the surface is smooth again! All unnecessary gimmicks. But they bring that extra fun to the game. Why not? Korean skincare isn’t the miracle worker it’s touted to be. But, it’s very creative. It sticks to the basics (like hydration) and constantly innovates on them, coming up with new textures, ingredients, and technologies that benefit skin and are a fun to use. The pace of innovation is so fast, most of them can’t be groundbreaking. But if you love to try something new all the time, you’ll fall in love with Korean skincare. 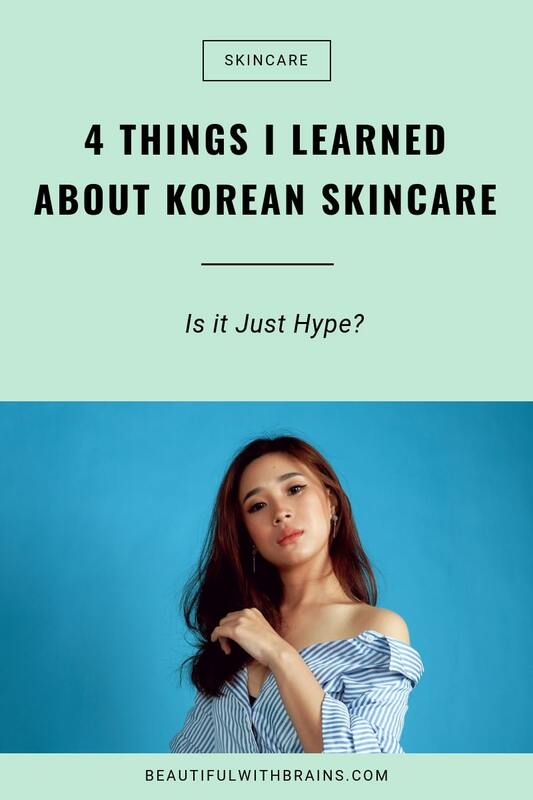 What do you think of Korean skincare? Share your thoughts in the comments below. Janessa, snail extract is so good for the skin, but using it makes you feel so guilty. It’s really awful how it’s collected. What a coincidence! What mask are you using? Marina, I thought I wasn’t either, but when I tried it, I was blown away. It’s not as bad as it sounds, really. I saw a sheet mask with big snail picture in the cover and I almost screamed in that drugstore LOL scared the hell out of me! Audrey, it’s creepy, isn’t it? Wow, they definitely went overboard with that packaging! And ugh. I don’t deny it works, but there are so many others ways to moisturize your skin without going to these extremes! Definitely. It’s just that the Korean skincare is such a booming business these days here in Indonesia and after seeing so many patients at derm clinic came because they’re irritated by their new Korean skincare products I never even bother to see/read about their products. With my sensitive skin I mostly trust Western products (especially French pharmacie, the French products are the best regarding sensitive skin IMO). SImple, gentle, yet effective 🙂 All we could ever ask for from skincare products. I also love how the French pharamacists and aestheticians are trained there, especially pharmacists! Extensive training (it’s so long it feels like they’re doing med school) makes them so knowledgable in every way. A friend of mine, a 20-something girl, is even “scolded” by the French pharmacist because she has retinol product in her basket.The pharamcist said “Oh no no, young girl. You don’t need retinol. This is for your Mum” and she took it from her basket and put it back in the shelf. She really took that stuff from my friend’s basket! So hilarious and heartwarming at the same time. While everybody else in the world is trying to make us feel insecure about our skin, they are just embracing their skin as it is, having a “je ne sais quoin” approach to skincare & makeup & of course, aging gracefully instead of trying to defy nature with tons of expensive procedures. Such a great philosophy they have! Audrey, I agree, that’s a beautiful philosophy. Much healthier than the beauty philosophy in most parts of the world. I guess there’s a reason why French women have such great skin. I am originally from Germany, and while in Europe regular people are still more into avoiding our exaggerated approach to wanting to stay young eternally like here in the US, they are not quite as relaxed as one might want to believe. There are many, many products in the drugstores and those special Parfumeries (places that sell perfume and walls of makeup and foundation) are geared to the same goal. While cosmetic surgery, Botox, etc is also a big staple in those countries, it is really still more for those with lots of money, those who aren’t but are willing to pay off a bill of those dimensions, and of course in most case for people in the public eye. In big cities, many women and men are doing A LOT to look their best. What one should never underestimate in why some Europeans look so much healthier and therefore better, is the fact of nutrition. The European food is not as over-processed, nor does much of it have all those additives and chemicals, which are often prohibited in Europe. (GMO is making a lot less money over there because it is widely not completely prohibited). Europeans eat a lot more fresh food DAILY, very little deep fried if any, and don’t fall for the myths of butter, regular milk, eggs, etc. are bad for ya. Plus, the nice glass of wine with dinner is already scientifically proven to aid in keeping the heart and other organs healthier. AND, one of the biggest differences…Europeans are not pill-gobblers! If you buy a headache painkiller in Germany (and other countries) for example, you will get usually about 10 pills in a package. Not 30/50/100/250+ like here. That tells a lot about the culture and their approach to taking pills and medication in general!!! I had medical problems before I moved to the US, but since then they have multiplied exponentially. I was always a skinny person until I emigrated. Despite the fact that we eat very European, the food is just not the same. I am also used to taking pills, have to for my chronic problems, but the daily amount is ridiculous and I am getting off all those chemicals now. I wish I was still in Germany for my medical needs because there you have naturopaths and everything holistic around every corner and some treatments are even partially covered by the health insurance. All things that can contribute to inner and outer health, wellbeing and beauty. Sorry for the long rant but I thought it was important to shed a little more light on what all is really very different on the other side of the big pond. I do love cooked snails, so maybe I should look into a cream! Marina, I haven’t found the courage to try cooked snails yet! lol. But if you have dry skin, a cream with snail extract will definitely help. Escargots are a fantastic meal. Done right, preferably in a “French cuisine” restaurant, you will absolutely love them if you like garlic. Garlic is a must when they are served in hot butter with herbs. Yuuuuuum! Mo, I’m not a big fan of garlic, so I think that settles it. 🙂 But my father loved escargots. I’ve tried snail slime products before (from Missha), and it was too rich so I’ve avoided snail products since. It’s a shame how they’re always kept under stress just to produce the slime. And I agree completely with your post. Korean skincare’s very creative and innovative, the western market can definitely learn a thing or two from them. Dee, thanks. Hope you’re fine, as well. Snail slime is very rich, indeed. The first time I tried it, I had your same reaction, but now my skin has become dry, it really helps a lot. But I agree, it’s awful how it’s produced. Western skincare is quite boring in comparison, isn’t it? Hanna, hehe I’ve had the chance to study it very carefully. It was a lot of fun. Although they’re not the miracle workers they are touted to be, most of them work really well. And the packaging. So cute! Lol! 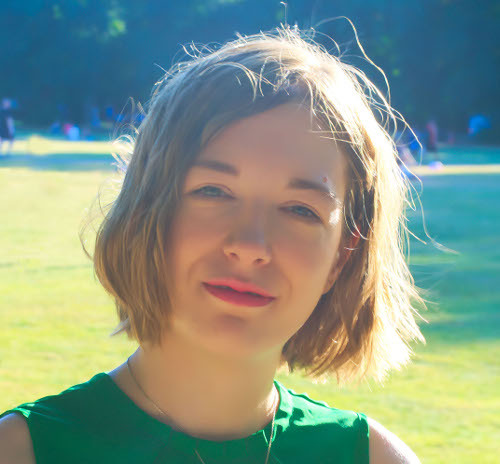 I guess I’m not the only Hannah commenting on this blog! That’s interesting to know about korean skin care. I was wondering if some of it had to do with hype but I had also heard excellent things about it. Hannah, a lot of it is just hype indeed. The difference is that they focus a lot more on hydration than Western brands, and that’s a lot more important than people think. No one likes bugs, do they? Ewww. How do you like La Roche Posay sunscreens in general? That sounds like a good CC Cream. It should be pretty hydrating, and even if it can’t provide the same protection as sunscreen, it would definitely help in that regard, too. I like the La Roche Posay Anthelios range, too. Like you, I prefer physical sunscreens, but, if you have to go chemical, go with mexoryl. It’s one of the most effective and gentler chemical sunscreen actives, and not so controversial as others. Uh oh! Guess what? I just checked Beautipedia and the majority of La Roche Posay’s products,including sunscreens rated badly. I’m bummed because I had heard they were recommended by dermatologists and I checked their active ingredients and their concentrations and seemed pretty decent but they have for 1.7 oz for $36(?) very little antioxidants but very high concentrations of a harsh alcohol that’s bad for skin (I believe I read somewhere I believe up to 70% alcohol and those aren’t the spray on’s even!). The only sunscreen that got a good rating really from them without criticism (and I think is worth my time and$), other than stars being deducted for being spf 15 instead of 30, is the one I’m interested in,fortunately. I care more about the concentrations and ingredients that serve as UVA filters anyway in the product,anyway, and the formulation looks good. Does it? : Avobenzone 2% (sunscreen) • Ecamsule 2% (sunscreen) • Octocrylene 10% (sunscreen). Quick question? Do Asian sunscreens use high concentrations of damaging alcohol so I should be wary of ever using on? I heard the often contain alcohol. Do you know of any sunscreens that have both Mexoryl and zinc oxide?I think that a sunscreen with both would offer amazing protection. Do you think that with the CC cream that I should be concerned of the minerals breaking down the avobenzone or do you think most minerals in CC creams are coated? As for La Roche Posay, I believe we have different formulas here in Europe. But yeah, like all French brands, they barely contain any antioxidants. One of the reasons why I never got the hype about French skincare – so boring! But I like the sunscreens, including the one you mentioned, because of Mexoryl. That protects well, which is the most important thing. And, you can always use an antioxidant serum for anti-aging. Yes, most Asian sunscreens contain alcohol. That’s why they’re so lightweight. So, if that worries you, I’d have avoid them, or at least look for one of the few that are alcohol-free. A lot of minerals these days are coated. But, unless the packaging clearly state so, I would simply reapply it a bit more often. Hannah, that’s true. Personally, I’d put antioxidants everywhere, but when used in sunscreens, which are fairly thick formulas, it can be hard for them to penetrate the skin as they should. I agree re the alcohol. It’s all about how you use it, really. If you know the side effects, and know how to avoid them, alcohol won’t be much of a problem. Asians are obsessed with skincare, so they tend to use lots of anti-aging and hydrating formulas to counteract its effects. But, we in the West aren’t as careful. Alcohol Denat is the kind usually used in sunscreens to thin out the formula. And that’s one of the bad ones. I’ve read scientific studies that claim it’s not as drying and irritating as commonly thought, but when I used astringent toners (those that contain alcohol denat and little else), my skin became drier indeed. As I said, it depends how you use it. If you choose a formula with antioxidants and moisturizing agents, the alcohol won’t damage your skin. I think most Asian skin looks better because they are fanatics about avoiding the sun. Also why people in northern countries have better skin, less sun. Unfortunately for me, I live in the desert. I can’t use Korean skincare because they load it with fragrance and I’m allergic. Now, Japanese skin care interests me. They have a lot of fragrance free products. As for water, I started applying moisturizer while my skin was still wet, to trap the water. Complete game changer, my skin has never looked better, especially my undereyes. Thanks for the reviews! Sherry, I completely agree. They’re obsessed about sun protection and eat a better diet, too. Those things help A LOT more than any skincare product does. I think Japanese and Korean skincare have some similarities in common. For example, they both recommend double cleansing and focus on hydration. But I think the Japanese tends to stick to the basics of skincare (ie what skin needs) whereas the Korean are more creative and constantly come up with new gimmicks. Every time I watched Korean dramas, all the Koreans seem to have flawless and plumped up skin! Does it mean that with sufficient hydration we do not need to worry about anti-aging? I have other tons of questions if you could help. Eye cream- I have dry and matured skin, and I read from your post that eye cream is not necessary. My products are usually in thicker texture because my skin really needs the extra hydration, is it safe to apply thick formula under our eyes? I do have a jar of eye cream, was wondering can I use it as my face cream? HA- I have The Ordinary HA 2%, should I use it before or after sheet mask? Supplements- What other ways can we take care of our skin health? Does vitamin C and collagen supplements have any impact on our skin? Pat or massage- Should we pat or massage our products, and why? (I.e toner, exfoliant, prescription products, serum, moisturizer, sunscreen). Evelyn, I wish! Remember that celebrities and actors need to care for their appearance so they have lots of treatments done. They just don’t tell you about it. Wrinkles and dark spots are mostly caused by sun-induced free radicals and moisture can’t stop them. But it can make those wrinkles LOOK smaller by plumping them up. Also, Koreans are religious with sunscreen. That prevents lots of the damage to begin with! So if you use sunscreen and hydrate well, you’re gonna age more slowly and look younger than someone who doesn’t. But, eventually, you’ll develop wrinkles and dark spots like everyone else. As for eye cream, it depends. It’s true that for most people, eye cream isn’t necessary BUT if the skin under your eyes is a different skin type (i.e. less dry) than the skin on the rest of the face, then a separate (and in this case, lighter) eye cream would help. But if you have the same skin type all over, go for it. I wouldn’t use your eye cream as your facial moisturiser just because that’ll run out quickly and you’ll spend too much money buying it again every few weeks. You can use TO HA both before or after sheet masks. They’re both hydrating products so in this case, the order doesn’t really matter much.